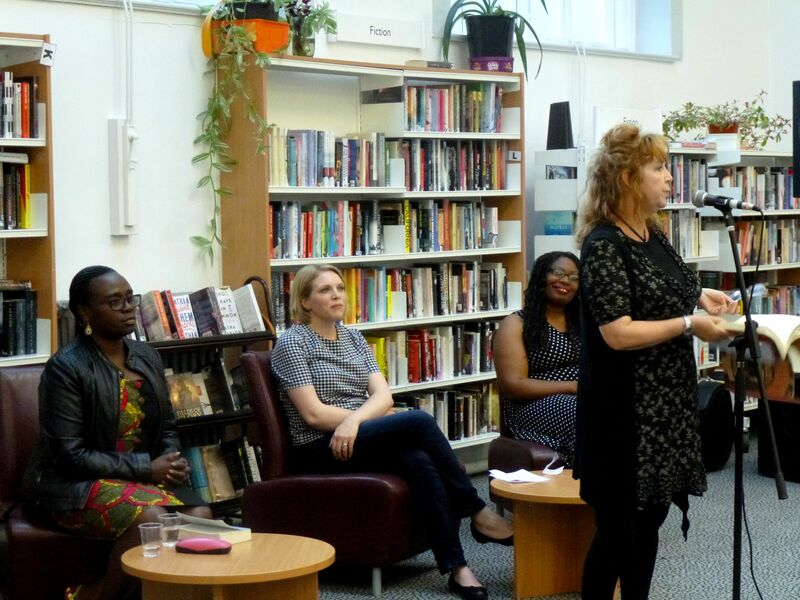 This 7th of August Northwest Literary Salon was filled with surprising revelations. 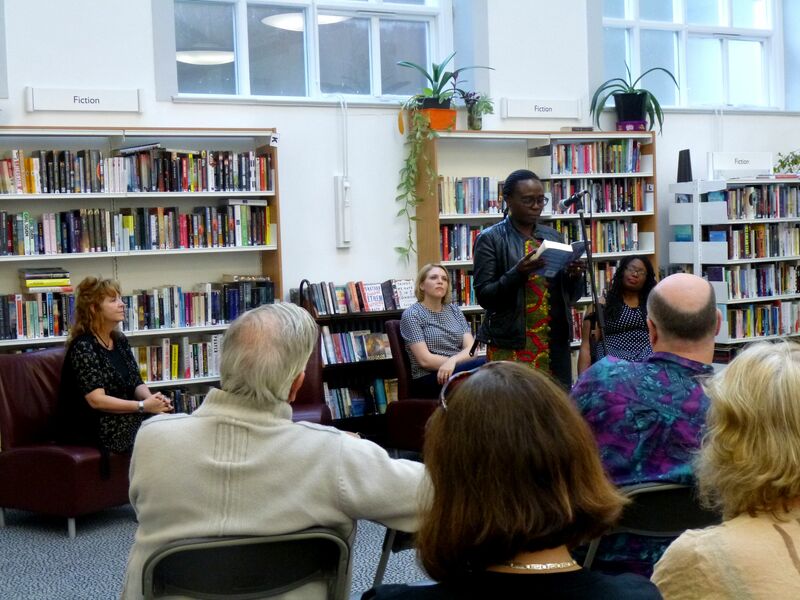 Naomi Kruger and Yvonne Battle-Felton, along with First Friday, Lit Fest and funds from Lancaster University contributed to create an unforgettable evening in the company of two accomplished writers, Jennifer Nansubuga Makumbi and Carol Birch. The first guests arrived before 7pm and were welcomed with fresh lemonade by our kind volunteers – much appreciated in such a warm day of August. More people gathered inside this gleaming space in Lancaster Central Library where Joe Gardiner’s guitar began to create a magic atmosphere. This talented musician performed his own songs – I am sure we will hearing them on the radio soon. Jennifer read an extract of Kintu, her first novel, which – as Naomi pointed out – left us breathless due to its intensity and tension. Guests were lucky to get a signed copy of this unique novel which – for the moment – is not available in the UK. Carol read an extract of her acclaimed novel Jamrach’s Menagerie followed by the first few pages of her next unpublished project – Jo Baker offered another literary preview in the 3rd of July NWLS. Carol’s story has quite unusual protagonists – objects. She explained that after losing her father’s book collection she realised how important objects are to us – as they are linked to memories of moments and people. 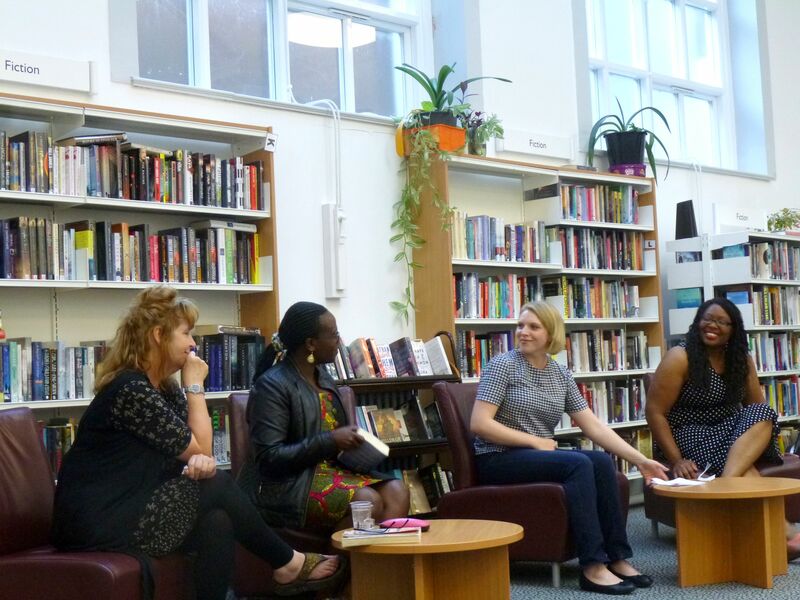 Yvonne and Naomi led a lively discussion in which we discovered what I am sure relaxed all the writers in the audience. Both Jennifer and Carol confessed never being completely satisfied with the editing of their novels – including the published ones. Carol even showed her own copy of Jamrach’s Menagerie where she had notes added on pencil for her readings. Jennifer also gave advice on how to balance research and writing in a creative project. Get a flavour of the evening by checking out a short video here and don’t miss the next NWLS on the 4th of September!